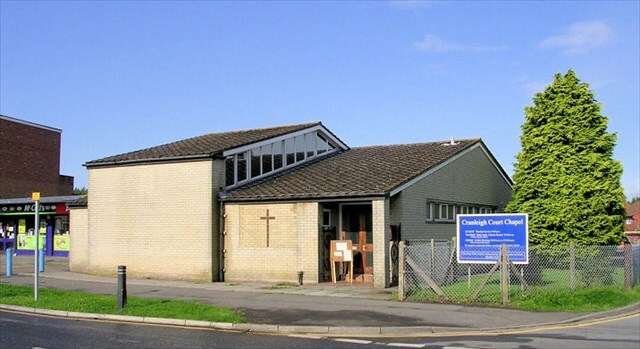 Cranleigh Court Chapel is a modern church building situated in the middle of Cranleigh Court Road. The difficulty rating for this urban nano is rated at 3 for now, feedback from cachers is welcome if it needs adjusting. THIS IS A MUGGLE DENSE AREA!!!!! Please use stealth, maybe find the cache, walk away a short distance to sign the log and replace. Urban caching can be fun, but the idea is to not get spotted by MUGGLES!!!! Anab, ernpu hc whfg nobir urnq urvtug.